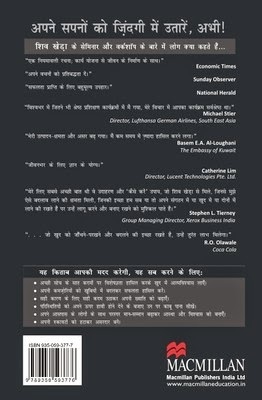 Jeet Aapki: Kamyabi Ki Aur Le Jane Wali Sidi : Kamyabi Ki Aur Le Jane Wali Sidi (Hindi) is authored by Shiv Khera. This book is essential for students who are in the Business and Management field and require the right kind of motivation in their career. Shiv Khera, Founder of Qualified Learning Systems Inc., USA, is an educator, business consultant, much sought-after speaker and successful entrepreneur. 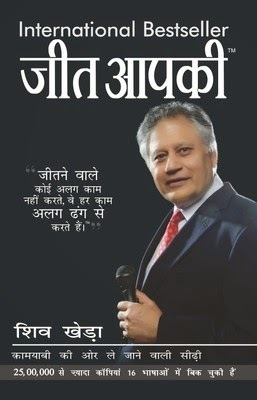 He has authored books like You Can Sell, Living With Honour, Bechna Seekho Aur Safal Bano (Hindi), Freedom Is Not Free (Hindi) and Young Leaders Book-7 1st Edition.